Guo Yuan Fashi is currently the Chan Hall Master at Dharma Drum Mountain Headquarter in Taiwan. In 1985, he was ordained under Master Sheng Yen at the Chan Meditation Center in New York. 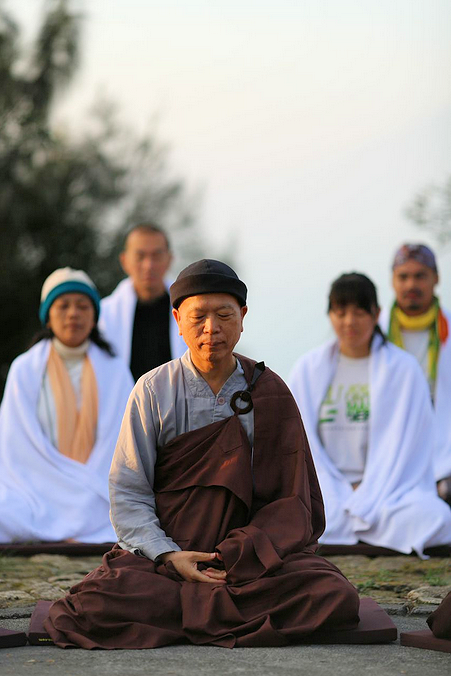 Over the years, he successfully served as Master Sheng Yen's attendant, English translator, as well as the abbot for the Chan Meditation Center and Dharma Drum Mountain Retreat Center in New York. "Guo Yuan Fashi has been with me the longest, more than eighteen years. Our relationship is master and disciple. Wherever I go, he goes with me...... He helps me conduct retreats and travels with me around the world. I would say we are like father and son, but fathers and sons get into fights and we don't. He is grateful to me for my teaching, and I am grateful to him for his help. This is the normal relationship between master and disciple. I treat him as a student, friend, and teacher."